Nothing tastes more like spring than a refreshing spritz, and our new collection is sure to ring in the new season in style. To celebrate the launch of our delicious new drinks and seasonal menu, you can enjoy a half-price spritz when ordering an à la carte main until April 7th*. For something subtle & sweet we love our St Germain spritz finished with a twist of lemon. If you love fruity flavours, our Chambord spritz topped with juicy blackberries is for you, and for martini lovers, we suggest our aromatic Rosato spritz. Sante! *Half-price spring spritz offer is available from 28.03.19 – 07.04.19. 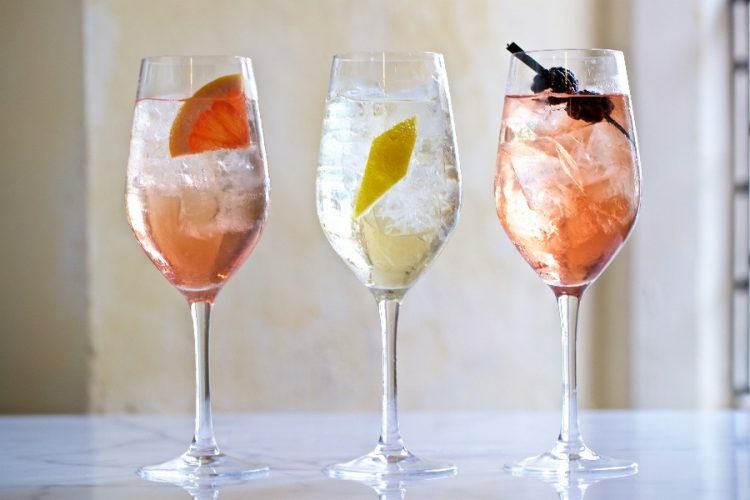 Enjoy one spring spritz half-price when ordering a main course. Offer not available in conjunction with any other offer. Not available at BB Charlotte Street.